LazarusJailed from TweakBox | Stop Revokes on iPhone/iPad: Every iOS user who tends to utilize third-party iOS applications on their iPhone/iPad faces the issue of app revokes eventually. In this post, we are going to introduce an advanced anti-revoke application that goes by the name ‘LazarusJailed.’ The following parts of the post will highlight the download and installation steps of LazarusJailed on iPhone/iPad without jailbreak. As compared to other iOS anti-revoke applications, LazarusJailed is using new and advanced technology thereby imparting it a far better success rate. LazarusJailed application works by clearing the cache of the third-party iOS applications that you have installed on your iOS device as soon as you close the application after using it. This makes it impossible for your iPhone/iPad to send data regarding the working of the application to Apple servers. Therefore, the chances of Apple revoking the certificate of the third party application become extremely limited. Also, Check Out this similar app which stop revokes of all applications which are downloaded from our favorite tweakbox application: NoThx Download on iOS Devices. 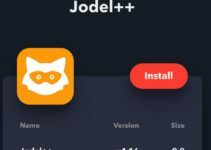 1.2 Download LazarusJailed Anti-Revoke App on iOS | How to Use? Jailbreak Fun team is behind the development of LazarusJailed application. The app utilizes the voucher swap exploit and the anti-revoke method by iOS developer pwn20wnd and Jakeashacks. Please note that this anti-revoke application has no effect on the host files. However, the application only prevents revokes that may happen in the future. If Apple already revokes the application, you cannot utilize LazarusJailed application to restore the same. LazarusJailed application is compatible with iPhone/iPad running on iOS 12-12.1.2. Please note that you do not have to jailbreak your iOS device to install LazarusJailed on your iPhone/iPad. Following are the steps to install LazarusJailed anti-revoke application. Also, Check Out: “Spotify++ on iOS – Premium Music at OnePlace with TweakBox App“. Please download and install TweakBox from here [TweakBox Download(Latest)]. 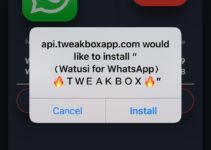 TweakBox is a third-party iOS App Store that contains tons of hacked and modified iOS applications for you to download. 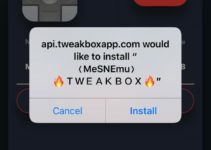 You do not require jailbreaking your iOS device to install TweakBox. Post successful installation of TweakBox, please trust the profile of the same. Launch TweakBox and search for LazarusJailed in it. The anti-revoke application will come up as the first search result. Tap on ‘Install’ next to the application to download and install the same on your iOS device. It will come up with another prompt message with “api.tweakboxapp.com would like to install <lazarusjailbed>” to start installation LazarusJailed App on iOS without jailbreak. Please note that you have to trust the profile of LazarusJailed as well prior to launching and utilizing the application. Download LazarusJailed Anti-Revoke App on iOS | How to Use? When you launch the LazarusJailed Anti-Revoke application, you can find the ‘Block Revoke’ button highlighted in green color. Please click on the button and wait for a few seconds. After a while, the application will ask you to re-spring. Tap on ‘Respring’ to re-spring your iOS device. That is it! Now the third-party applications will not have to face the issue of Apple revoking them. ToonsNow Download on iOS – TweakBox App – No Jailbreak 2019. Tweaked WhatsApp: WhatsApp++ on iOS 12.2, 12.1.2, 12.1 & iOS 12+ No Jailbreak. This was all about the LazarusJailed Anti-Revoke application. Please note that the application continues to work even if you reboot your device. Therefore, you do not have to press ‘Block Revoke’ each time you reboot your iOS device. Try out the application and let us know in the comments section provided below your experience with the same.